Dave & Busters and The Affordable Care Act. What? Sometimes the new healthcare laws can feel like a big game. Trying to understand how we fit into these new laws can be frustrating – just like trying to hit the 100 in Skee-Ball but ending up with the 10 spot instead. Time to understand the game! The Houston chapter is pleased to join forces with San Jacinto College hosting a Women in Indusrty day on October 19th. We will have over 100 female students aged 13-18 enjoying hands on workshops, panel discussions with women building careers in the construction industry and our very own Immediate Past National President Mrs. Sandy Field serving as our key note speaker. There is still time to come join us on this special day! For more information contact us at rsvp@nawic-houston.org or see below for more information. Join NAWIC Houston Tuesday, July 14th at the Westin Memorial City 024 Lounge for food, drinks and great networking opportunities. Enjoy appetizers and a couple of drinks on us. Bring your friends and colleagues and remember those business cards! Join NAWIC Houston in welcoming our very own member Barbara Yahn as our speaking guest for an evening that is sure to be eventful as we travel through international waters with the Yahn Group…. Barbara and Steve Yahn worked in Afghanistan for over a decade, departing for good in June, 2014. In that time they worked for various large international contractors and started their own company, The Yahn Group, Inc. As The Yahn Group, Inc. they completed numerous successful project for the US Embassy, Kabul. They are now in Houston, are a WBENC Certified Women Business Enterprise (WBE), a certified Texas HUB, a Port of Houston Authority Registered Small Business Enterprise and an approved Hire Houston 1st Local Business ready to provide excavation, site utility, site preparation services to the Houston contractors. They will provide your companies, and those individuals looking for a little bit of excitement in their lives, information on International Contracting, who to contact, what to do, what not to do. They will also talk a little about their time in Afghanistan, with a photo show of the people, the land and some of the many harrowing and humorous situation they found themselves a part of. They will also have a few show and tell items from Afghanistan to share with you. You wont’ want to miss it! We will also be hosting our chapter elections at the end of this evening’s program so please be sure to attend and have your vote counted! IF YOU ARE A MEMBER OF NAWIC HOUSTON, YOUR RSVP IS NEEDED FOR THIS EVENT. Join NAWIC Houston for our annual Top Golf Networking and Fundraising Event! Food, drinks, prizes, silent auctions and plenty of opportunity to show off that golf swing! 3 players to a team or check out our sponsor opportunities in the Team & Sponsor Sign Up Form below. Join the NAWIC Houston chapter as we celebrate our already stellar year with the wonderful cast of characters that have helped support us along the way as we continue to grow into one of the fastest growing associations in Houston! Click on Team & Sponsor Sign Up Form to reserve your space today! You can also register through this email but remember – you MUST complete a team form with the names of your players and submt them to events@nawic-houston.org prior to the day of the event. organizations and experience the career success you want! • Top Employers – Connect one-on-one with recruiters from major corporations. Join the Houston NAWIC Chapter for a lunch & learn to empower your business and team! A best practices workshop for building your team. Jim Wilkinson, a 30-year financial executive, is a successful entrepreneur and investor as well as consultant to entrepreneurial companies. Since 1990 he has advised entrepreneurs on the management and financing of their companies. Jim brings a passion for driving value in entrepreneurial companies and teaching CFOs on how to become trusted advisors to those entrepreneurs. 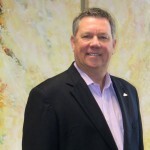 In addition to his work with CFOs and entrepreneurs, Jim Wilkinson is an Adjunct Professor at the Wolff Center for Entrepreneurship at the University of Houston. His teaching style matches their focus, which is to integrate real-world experience with traditional classroom education. Lunch will be served. There is no cost for this event. Space is limited so please REGISTER NOW to reserve your seat. Join the Houston chapter as we celebrate our 2015 NEF CAD Competition participants in Sugar Land, TX. The April general membership meeting will take place in Sugar Land this month so that we can accommodate our CAD Competition Contestants in Fort Bend ISD. We hope you can join us for a wonderful workshop on how to read and interpret CAD drawings, presented by Muhammad Siddiqui, Principal Architect & Project Engineer at Fluor, Inc.
We will also be presenting our Houston 2015 NEF CAD Competition winners, sponsored by Fluor, Inc. and NAWIC Houston. You’ll definitely want to attend this event and meet this wonderful group of students. If you require a special meal option please note it in your RSVP and we will be sure to accommodate you. We are midway through our year in the Houston NAWIC chapter and so much has been going on that we have forgotten to stop and smell the NAWIC roses! We would like to get together in a less formal setting and get to know each other and our companies better. We plan to network, enjoy some mimosas and bellinis, and do a little chapter brainstorming. This will be a “free for all” discussion about how NAWIC can better serve our membership and our community so come with ideas to share!